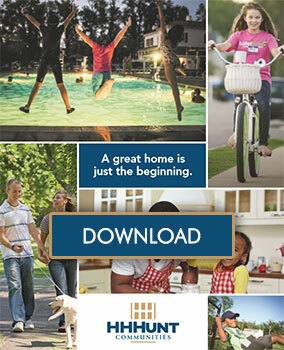 At HHHunt Communities, we believe it’s how you live that matters. Every day we strive to make a difference in our communities through volunteerism and philanthropy. In fact, HHHunt Corporation has once again been named to Richmond BizSense’s Generosity Inc. list. Ahead of the Annual Day of Giving on April 10th, we wanted to take this opportunity to reflect on how both HHHunt Communities and our homeowners have partnered together to make the Richmond region a better place to live. Over the years, our homeowners have blown us away with their generosity. In Rutland, for example, residents hold an annual Turkey Bowl to raise money for the Hanover County Sheriff’s Office. 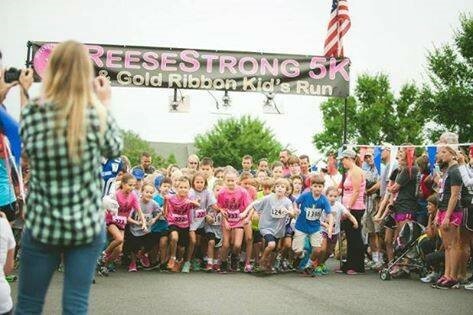 They’ve also partnered with ReeseStrong for nearly 10 years to host its annual ReeseStrong 5K run which raises money to help fight childhood cancer and increases awareness for those who are fighting the disease. In Providence, we helped one of our residents with the creation of a Little Free Library that provides free books and encourages reading. We’re planning on adding Free Little Libraries at all of our new home communities moving forward. Finally, we have worked with homeowners for many years to hold food drives benefiting FeedMore, Central Virginia’s core hunger-relief organization that collects, prepares and distributes food to neighbors in need. All of us at HHHunt Communities believe that we have a responsibility to give back to our local community and are committed to our vision to improve the world and how people live. We hope you join us and participate in the Annual Day of Giving!